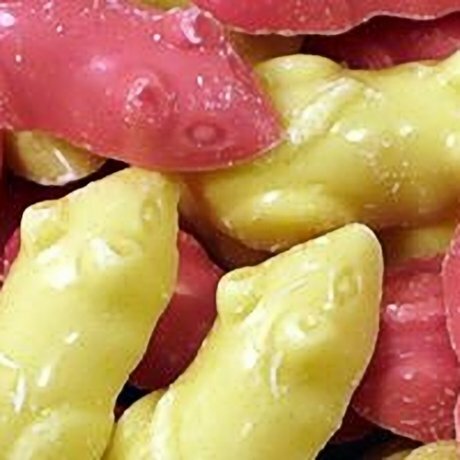 Large Pink and White Mice - we all know the little white chocolate mice that we used to be able to buy in our corner sweetshop. Well these are larger versions of those. The white ones are the same creamy white chocolate that you know and love. And the pink ones? They are equally creamy and strawberry flavour and you know how much of a winning combination strawberries and cream is! I like to eat them alternately... a white one and then a pink one. The hardest decision is 'which one to finish off on? '.